Stronger than the 81A , this filter is used primarily as a "warming filter". it decreses the color temerature of a scende ( make more red). Reducing the bluish cast on overcast days or at high noon. 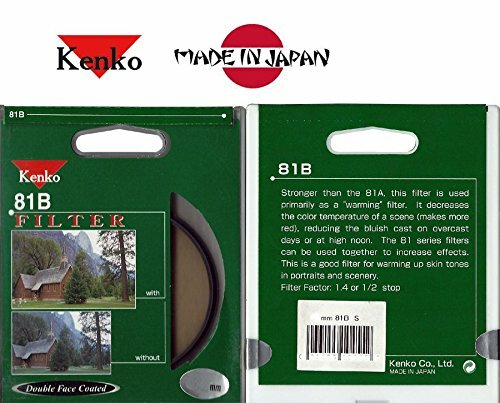 The 81 Series filters can be used together to increase effects. This is a good filter for warming up skin tones in portraits and scenery. this filter is used primarily as a "warming filter". If you have any questions about this product by Kenko, contact us by completing and submitting the form below. If you are looking for a specif part number, please include it with your message.